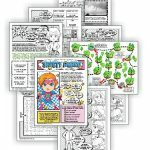 Complete this seven-page comic download and Juniors have earned their “Drawing” badge. Complete this six-page comic download and Juniors have earned their “Musician” badge. 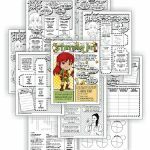 Complete this seven-page comic download and Juniors have earned their “Playing the Past” badge. 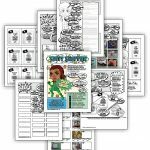 Complete this eleven-page comic download and Juniors have earned their “Savvy shopper” badge. Complete this nine-page comic download and Juniors have earned their “Scribe” badge. 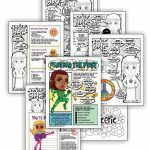 Complete this eight-page comic download and Juniors have earned their “Social Butterfly” badge. Complete this eleven-page comic download and Juniors have earned their “Staying Fit” badge.